Welcome to the Rockland County Park System. To reserve a park or park facility, please check our reservation calendar to make sure that the dates you wish to book are available, then print and complete our Park Reservation form and return it with your payment to the Rockland County Department of Environmental Resources. Reservations are first come, first served. Full payment is due in order to reserve a facility. 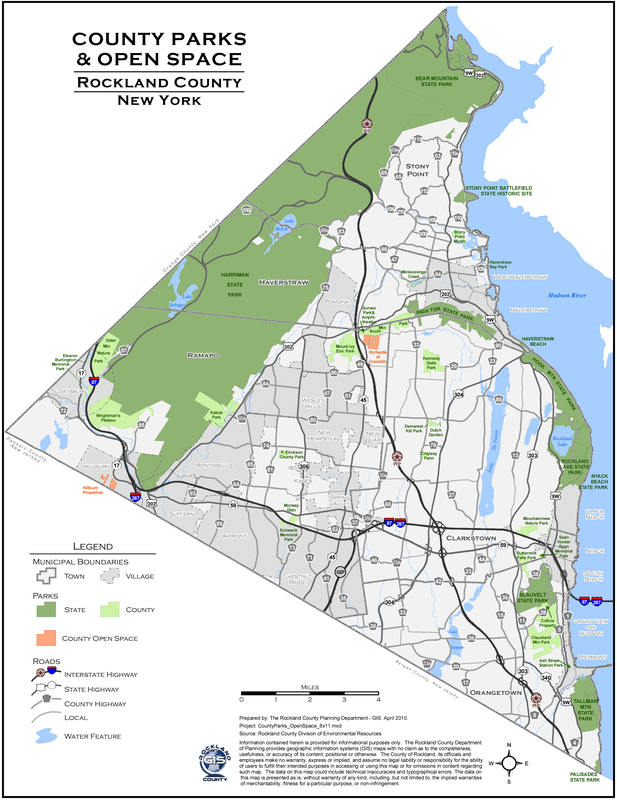 Since 1965, the Rockland County Park System has grown to a network of 30, comprising 3,179 acres. The goal has been to provide county residents ready access to local parks without having to endure traffic congestion or drive long distances to enjoy nature's beauty. Park acquisitions have been attained through County funds matched with federal and state grants along with land donations, tax delinquency and partnerships with Land Trusts and other municipalities. Our parks, now conservatively worth some $230,000,000, are situated on or near mountainous ridges that preserve our skylines as forever green and uncluttered by high-rise. They provide a variety of both active and passive recreation along with preserving parts of our county's history. Recent acquisitions of the last remaining active farms have preserved part of Rockland's past and continue to produce locally grown farm fresh produce. The parks provide excellent nature trails where one may, if you look carefully, encounter a variety of animals such as a red-tailed hawk, pileated woodpecker, barred owl, white-tailed deer, red fox or a wild turkey. There are scenic vantage points at South Mountain, Buttermilk Falls, Mountainview Nature Park, Gurnee Park and Amphitheater, Kakiat and Clausland Mountain. There you will witness the beautiful vistas stretched out for all to see. Two of our county parks offer residents an enclosed area for their dogs to run off-leash. These enclosed areas are called "Dog Runs". They provide a community setting in which people can gather and socialize and where they can observe the interaction of groups of dogs at play. Dog runs not only allow owners and their dogs to spend time together, but also offer dogs a space for play and companionship with other dogs. Dogs must be supervised by their "humans" at all times.